Get the perfect EPOS Systems, EPOS Software, Cash Registers for your business. Ready to let Merlin Office Ltd take you to another level in business? From managing price and stock levels, to discovering marketing opportunities and creating detailed business reports, getting the right EPOS System is an essential part of commercial business. 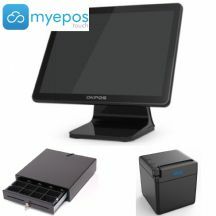 We specialise in EPOS Systems for the hospitality, service and retail industries and our experienced team of dedicated, manufacturer-trained engineers can install and repair EPOS systems and Cash Registers from leading manufacturers such as Datavan, Sam4s, OKPOS, MyEpos Touch, ICRTouch and Samtouch. We also supply everything for them including EPOS software, till rolls, ribbons, EPOS printers, weigh scales and cash drawers. Making the right choices with your EPOS systems will help you take control of processes, eliminate costly errors and ensure a simplified approach to pricing. With accuracy at its heart you’ll be able to rely on your data and take confidence in all transactions. Why not browse our vast range of EPOS systems, products and services online? Alternatively, get in touch with one of our experienced engineers. Whatever you need to get those transactions flowing call us today on 01387 257027. A range of complete EPoS Systems for a variety of business sectors. 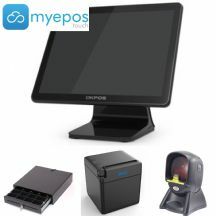 A range of EPoS peripherals to complement and complete your system. A range of EPoS terminals from leading brands Datavan and Sam4s. Receipt printers, kitchen printers and label printers from SNBC, Sam4s and Bixolon. Standard, compact and flip-top cash drawers. Single line, omnidirectional and 2D QR barcode scanners. Integrated digital weigh scales to connect to your EPoS system. Entry level cash registers for those who need simplicity or have a limited budget. Medium and heavy duty cash registers with raised keyboards suitable for small retail environments. Medium and heavy duty cash registers with flat keyboards suitable for cafes and smaller public bars. Stand alone weigh scales for fruit & veg shops, pet shops, delicatessens, whole food shops and butchers. Thermal, plain and multi-ply paper rolls for EPoS printers, cash registers and credit card terminals. Thermal paper rolls to suit EPoS receipt printers, cash registers and credit card terminals. 2 and 3 ply NCR paper rolls for kitchen printers. Plain paper rolls for kitchen printers and older cash registers. Special wet strength paper rolls designed specifically for dry cleaners so they can be pinned to garments without dissolving during the cleaning process. Direct thermal barcode labels for use with our barcode label printers. Ink ribbons and rollers for kitchen printers and older cash registers. Ink ribbons for kitchen printers and older cash registers. Ink roller for older cash registers. A range of Cash Register and EPoS accessories.